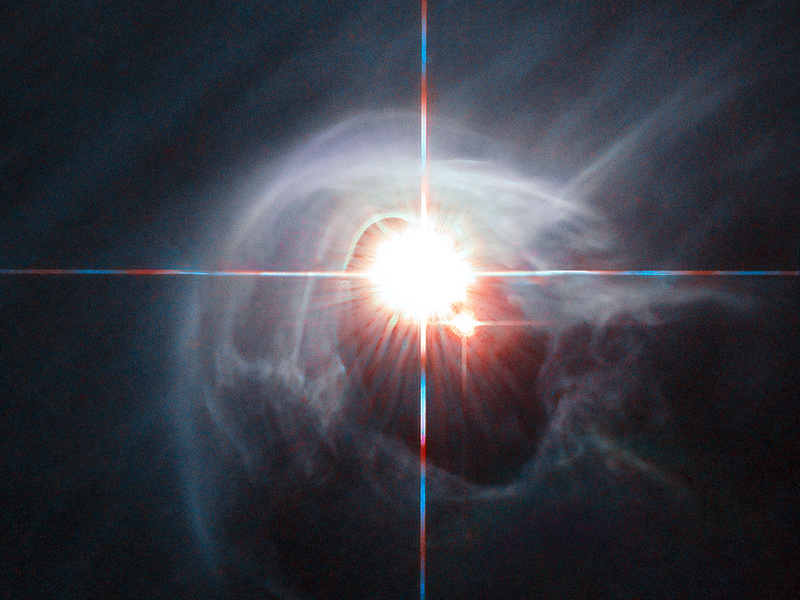 Two stars shine through the centre of a ring of cascading dust in this image taken by the NASA/ESA Hubble Space Telescope. The star system is named DI Cha, and while only two stars are apparent, it is actually a quadruple system containing two sets of binary stars. 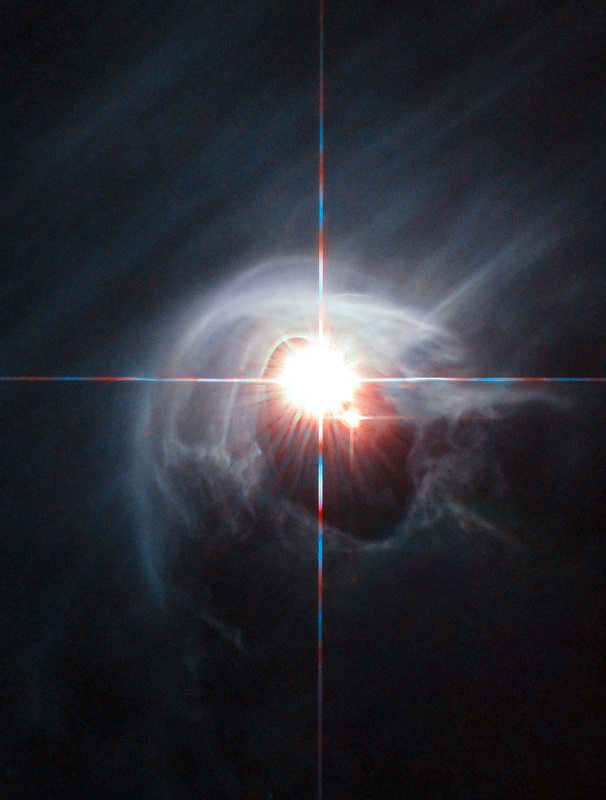 As this is a relatively young star system it is surrounded by dust. 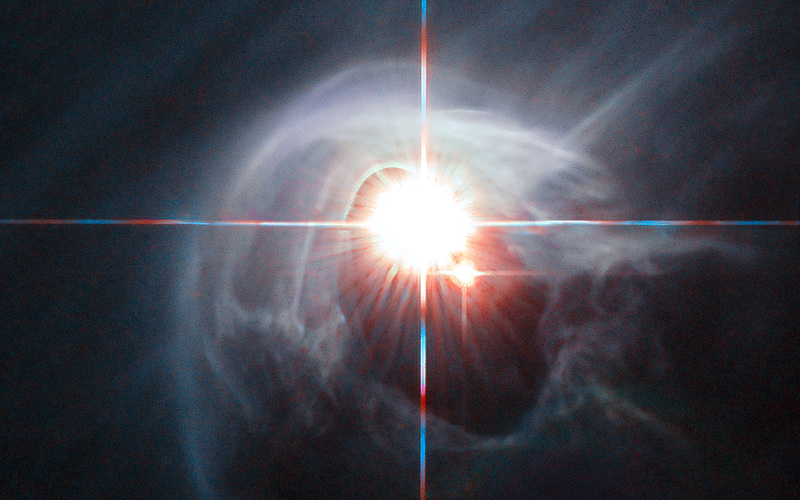 The young stars are moulding the dust into a wispy wrap. The host of this alluring interaction between dust and star is the Chamaeleon I dark cloud — one of three such clouds that comprise a large star-forming region known as the Chamaeleon Complex. DI Cha's juvenility is not remarkable within this region. In fact, the entire system is among not only the youngest but also the closest collections of newly formed stars to be found and so provides an ideal target for studies of star formation. Position (Dec): -77° 38' 8.73"